bebop spoken here: Nigel Kennedy @ Cheltenham Jazz Festival, Town Hall, May 3. 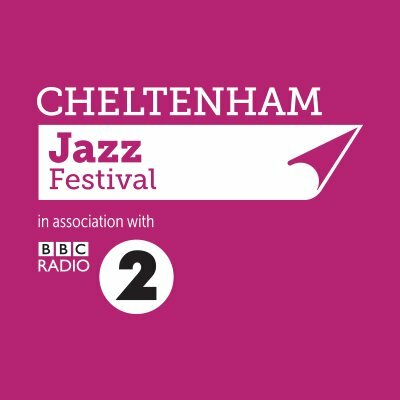 Nigel Kennedy @ Cheltenham Jazz Festival, Town Hall, May 3. I saw Nigel Kennedy at Scarborough a few years back and he did a set of Django - more or less - and a set of Hendrix - more or less. The former was great but the latter was immense. I generally go to Cheltenham if there are two acts close together in the schedule. The early announcements met that, but the addition of Nigel Kennedy doing Hendrix meant doing more or less the whole festival for the first time ever became a Thing. £25 membership later and my bass fingers doing the walking at the allotted time, what could possibly go wrong? Initially, there was a suggestion that I may not be telling the whole truth, but once proven by telephone records, my big mistake became that I rang at precisely the moment the tickets went on sale - precisely what I was aiming for - three times. You couldn't make it up but it's their boast that they don't even have a preference for fairness. As I arrived at the venue I was livid at the sight of literally hundreds and hundreds of people in front of me who phoned the box office after me. But others were livid that he was no longer doing Hendrix; others that he kept swearing, which I hadn't realised was a secret; and others because the audience kept interrupting their concentration by applauding during pieces, though mainly when encouraged from the stage. The musicianship was extraordinarily, mind-bogglingly stunning, as you'd expect. He makes his violin talk, sing and dance and no doubt, when we're not there, eat, sleep and drink. It seems that any sound imaginable and many unimaginable can come forth from this little man and his little instrument. Nor does he need to hang out with mediocre musicians; two brilliant guitarists, mostly playing in a Gypsy style, with just a little slide to distinguish between the two; a brilliant upright bass player, and a brilliant cellist duetting with the violin on many of the melodies. Bach to open, from him unaccompanied, followed by an extended piece from his second favourite composer, surely Vivaldi but no, Kennedy. He closed the first set with the first from Gershwin – They Can't Take that Away From Me -beginning on piano and he's every bit as good as you'd expect him to be. Gershwin dominated the second set and would include Rhapsody in (claret) Blue, which I took to be a secret word amongst the rest of the audience, indicating the daft North East lad who rang the Box Office bang on one o’clock and got seats with restricted viewing. Porgy and Bess I couldn't quite identify, but he described it as a Thing, and Summertime was taken at a slow pace, described as less is less, though the coda hinted at Hendrix. Lady be Good found them firmly in Gypsy Jazz territory, continued into the encore of Swing 39 morphing into Minor Swing right at the end. For the second encore, some of us shouted for Hendrix, but they went down a folkie route with a Southern Irish folk tune followed by Danny Boy, some reduced to tears but everybody on their feet for rapturous applause. He left the stage playing I Could Have Danced All Night but returned for more applause. He's a very special musician.